This article describes how you can quickly test your API access. Open the External Application to be tested. The ID value of your External Application can be obtained from the URL in its editor. In our example the ID value of the 'External API' application is 11, as seen in the URL of the External Applications page. Select the item depending on the request you need to create. 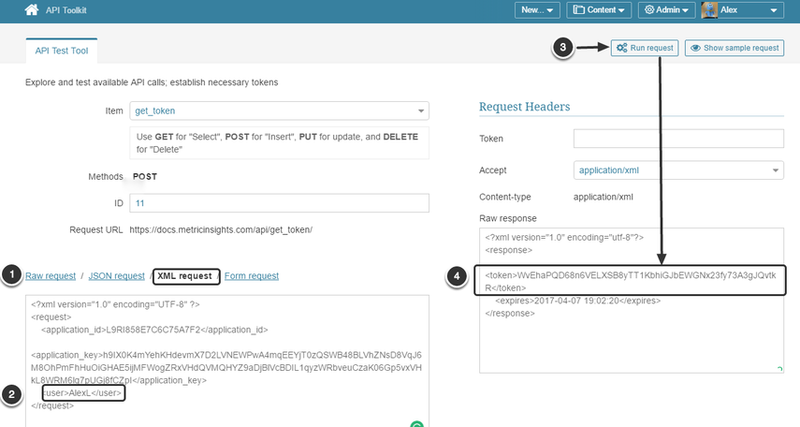 This example demonstrates how to obtain token via API request. Enter ID value of your External Application. In our example the ID value of the 'External API' application is 11, as seen in the URL of the External Application Editor page. Optional. When performing Raw request or Form Request, you can define the response format (XML or JSON) in the Accept field. NOTE: In the Accept field, the 'text/csv' setting is only applicable for 'metric_data' and 'report_data' Items. NOTE: The test is successful since the API Token was obtained. Alternately, you can use other formats such as JSON. 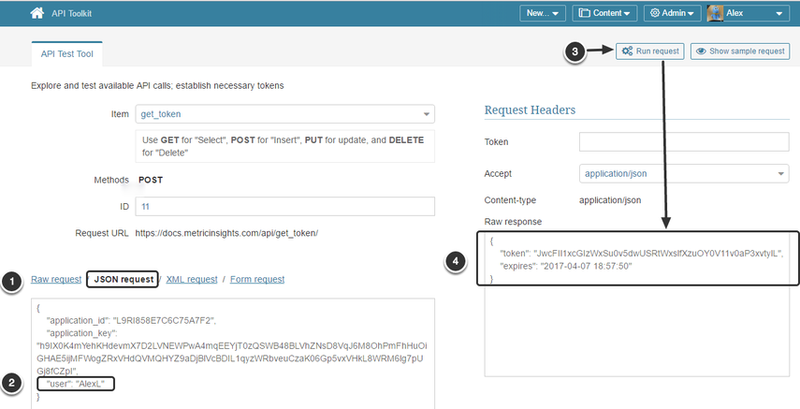 Alternately you can use XML format for the get token request.